I really tried to not let this nomination circus get to me, but it’s impossible. I’m just riddled with anxiety and anger. 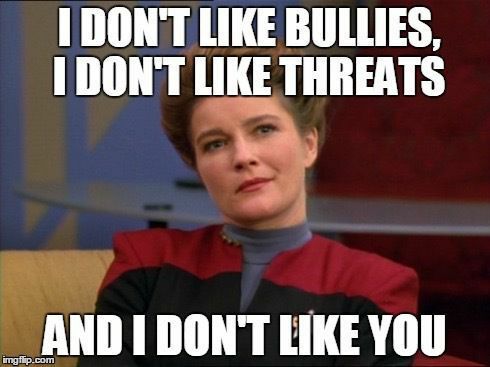 I will either be watching the hearing or rewatching episodes of Voyager. Probably a little of both.